← Fall Planted Garlic is Growing. The garden has begun it’s slow transformation from a land of plenty, with rapidly growing plants to a shadow of it’s height in summer. Most of the plants are showing their fatigue for the year, and many have withered completely. Few plants flourish this time of year, and it seemed prudent to pick these root crops before the first frost. 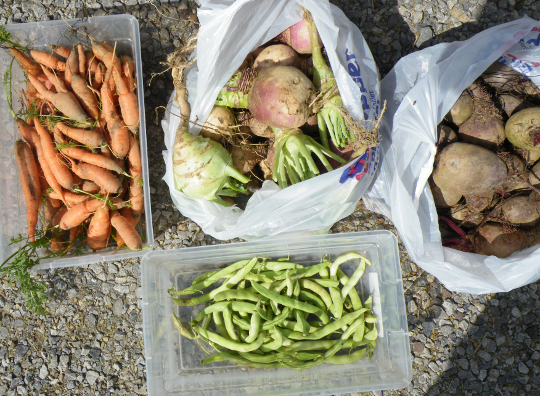 I picked a bag each of Turnips and Beets, a few nice size kohlrabies and some carrots. 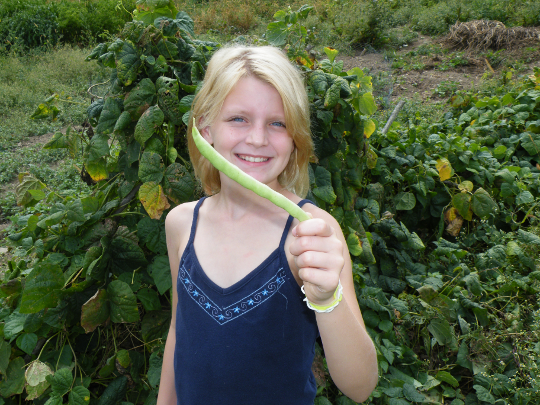 My niece picked the string beans, as she seems to be the only one who is not yet sick of them for the year. As I was pulling up the turnips, I kept hearing comments about the beans. Some where shaped like funny letters, a J here, an I there. I’m surprised she didn’t lay them out in the soil and spell funny words. Last year I took a pepper plant out of the greenhouse, and planted it in a small pot in my kitchen. The plant grew enough in the winter to set one pepper. This year, I’m trying a different approach. 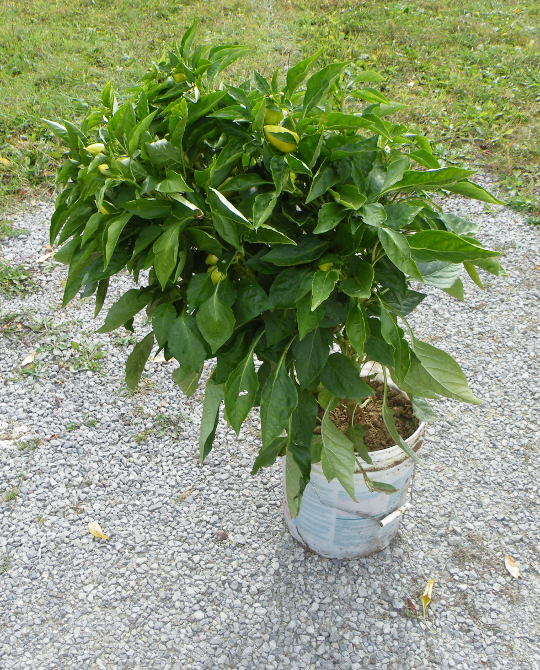 I found the largest Chablis Pepper plant in the garden, and planted it in a 5 gallon bucket. The stem on this giant plant was about an inch in width, and is starting to get a hardened bark on the stem, just like a tree. The plant is at least three feet tall, bucket and all, and looked pretty cool when it was moved indoors. There are at least ten small peppers on this plant, so I’m hopeful for fresh peppers after the frost descends on the garden.